People come to the United States for many different reasons. From trying to start a new life of opportunity to deciding that they would like to come work here for a certain business, each person who arrives in this country has a reason to decide to live in America. Due to there being so many different reasons to come to America, there are a variety of visas that an immigrant can apply to obtain. 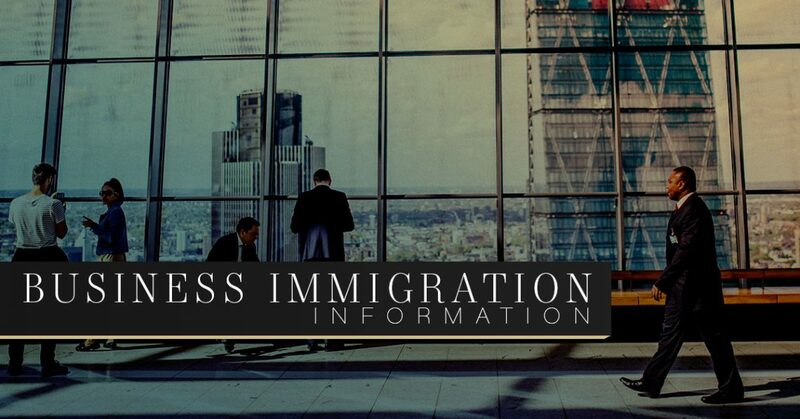 If you’re looking to work at a business in the United States, then you’re going to need to apply for a business immigration visa, but you need to choose the correct visa since there are quite a few. One of the many services that we offer at Zohar Law PLLC is assistance in helping you apply for business immigration visas. Our immigration lawyers are able to give you the proper business immigration information to ensure you apply and are granted the proper visa. Why Is A Business Visa Important? A business visa is important because it allows you to come to America and work, invest, or take a temporary position at a business. This includes coming to America for a short stay, working here temporarily, creating startup companies, and allowing investors from different companies to come into the country. To acquire a visa for business in America, it’s important that you hire an immigration lawyer who is able to meet your requirements. We offer assistance in acquiring a business visa because we have a goal to give people the ability to achieve their dreams. From keeping families together to allowing you to work in America, Zohar Law PLLC is able to offer you a chance at a life in the country of possibilities. At Zohar Law PLLC, we strive to offer as much immigration information as possible to ensure our clients are well versed in the visa they desire to achieve their success in America. In addition to our other visa services, we also can help you obtain visas to allow you to conduct business in the United States. For any additional immigration information, don’t hesitate to fill out the form at the bottom of the page. Coming to a new country can be difficult. Whether you know the country well or not, it can be tough to assimilate and learn a new culture. At Zohar Law PLLC, we aim to make it easier for you. With our ability to communicate in Hebrew and Arabic, we’ll help you feel at home when you come to us for immigration information. Our immigration lawyers are well versed in immigration laws, even if they are always changing. We’re advocates for those who want to stay in this country or pull their families together. The immigration lawyers who work at Zohar Law PLLC are people who are hardworking, experienced, and will have a personal one-on-one consultation with you to help strategize the best course of action. Our law firm is targeted to help those who can’t represent themselves and who desire to make America their home.